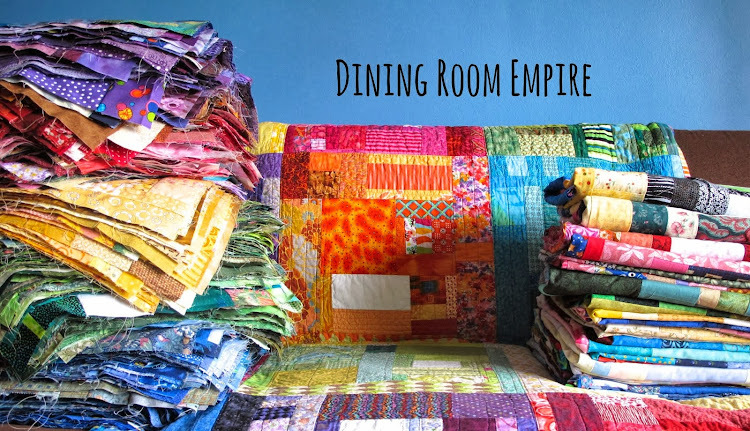 Dining Room Empire: What Really Counts as Improv Quilting? 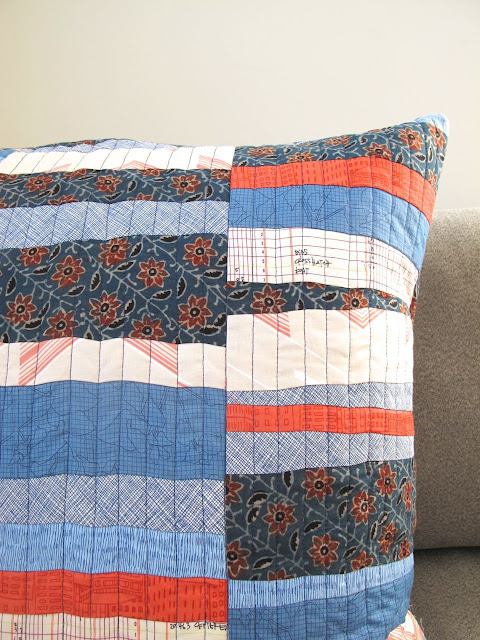 What Really Counts as Improv Quilting? After a recent Improv with Intent class a student came up to me with deep concerns. Each student did their own project, with their own inspiration and their own execution. At the end of the day all the projects on the design wall displayed a wide range of styles and approaches. My wonderful student wondered just how much of it, however, was really Improv. She looked around the room at people who had made triangles, strip sets, cut and resewed fabric, created specific shapes. When we came together at the end of the day people it no longer looked like our warm up exercises of random piecing. So was it still Improv? There is a belief that unless you are picking your fabric blindly, not using a ruler, or making everything wonky it doesn't count as Improv. That is what I, and some others, might refer to as Pure Improv. It totally encompasses the true spirit of improvised quilting. But it is far from the only way to do it. ... taking a traditional pattern and making it without measuring pieces or worrying about perfect points. This often makes it wonky. ... sewing together random bits of fabric to become bigger pieces of fabric. These can be used on their own or as part of something else. ... taking a certain cut of fabric and sewing it to another with no preplanning about what goes next to what. 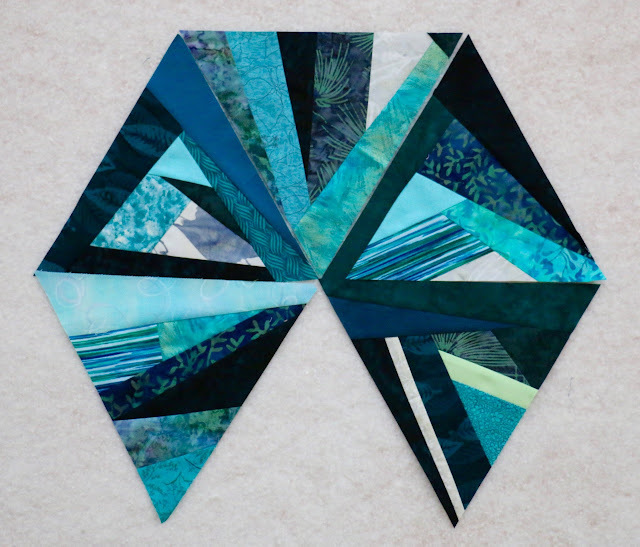 Free form piecing. ... changing course midway - once, twice, or thrice (or more) - because you can. 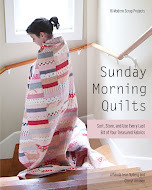 ... an attitude that allows you to not freak out when something goes wrong or off track while piecing a quilt top. 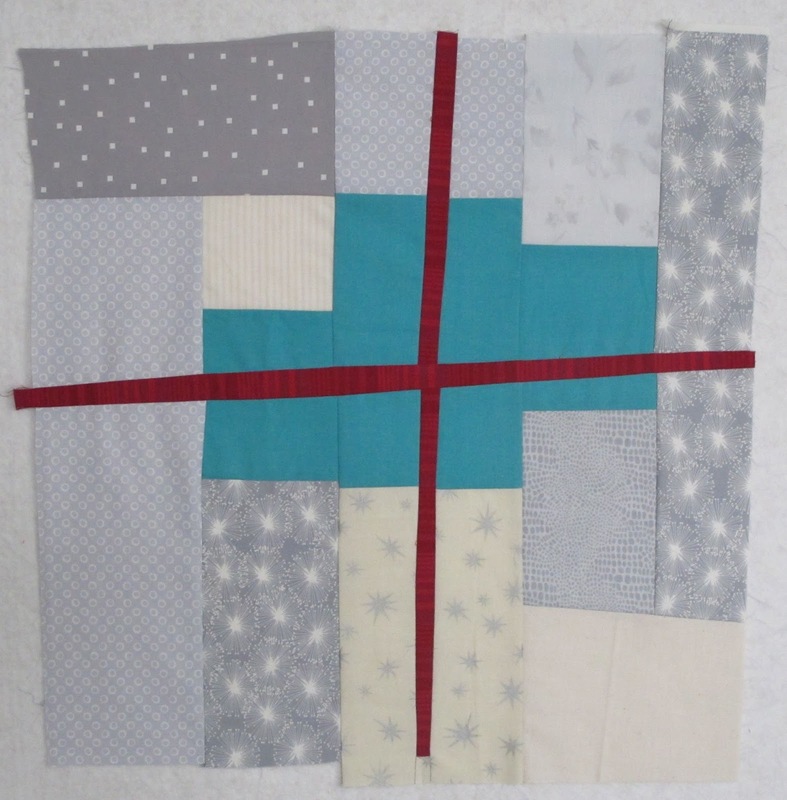 ... being open to the direction your quilt takes or being okay with scrapping it when you hate it. ... as much about the process as the product. You will automatically be bringing Intention to your work. Your intention can be a shape, a colour story, an image, a feeling, a place, a word, a symbol, a time. Even with Pure Improv there is an intention. It may be to use up all your scraps or you choose a specific colour way, but that is still intention. When using an Improv approach to your project it is perfectly fine to bring order, square up, and otherwise define the components you are making. If you don't do this at some point you are asking for a bumpy quilt with puckers. I always tell my students that there is a time to bring back the ruler and rotary cutter, but go as far as you can without it. If you want to make a flat, squared quilt with the Improv pieces then you still need to follow those basic tenets of quilting - 1/4'' seam allowances, pressing, and squaring up (or, at the very least, shaping). For many people this then makes the Improv feel fake. Not real Improv. Improv is an approach, a technique that starts with simply starting. You begin without knowing what the end product will look like. You are improvising the design as you go. Exactly how you do that will vary among quilters. It varies according to the skill level of the quilter, their comfort with improvising, and the intention they are bringing to the project. As an example. If you've never worked without a pattern or a kit, simply sewing strip sets together without planning it all out may be enough to give you heart palpitations. 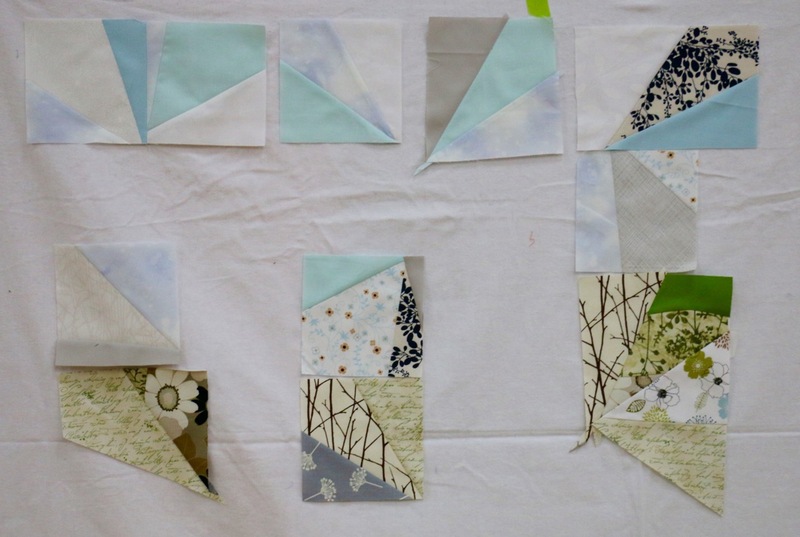 People want to know every single step it takes to go from a pile of fabric to a quilt top. With Improv that is impossible to do. My strip set will look different than yours than your neighbour's. Improv for each quilter is as unique as your handwriting. We develop a rhythm and style that is all our own. Improv provides insights to each quilter. We build confidence, curiosity, and authenticity in our work. That's on top of making a quilt that is distinctly unique. At the end of the day, if you felt like you were improvising then you were, no matter what anyone else says. As a teacher I often push my students out of the comfort zone. It isn't an accident either. 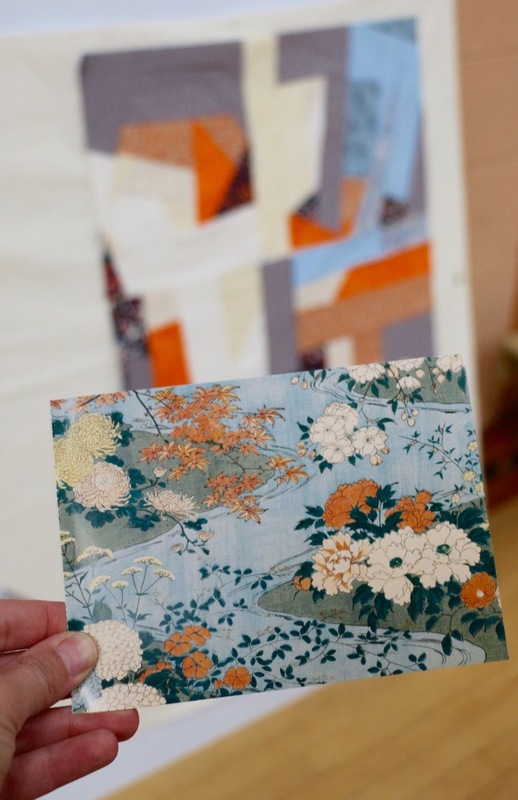 I want you to challenge your own perceptions of how a quilt should be made or what colours can go together or how a block gets made. I might steer you away from the literal or towards it. Heck, we could even all start with the same Intention but will execute it differently! For my student that day I went around the room and reviewed how each student took Improv as an approach and adapted it to the Intention they had. To be honest, I'm not sure she was totally convinced. Improv is a different mind set and so many of us have been trained in black or white on piecing techniques. What I, and any improv teacher can do, is teach you the general idea and give you confidence to do your own thing. 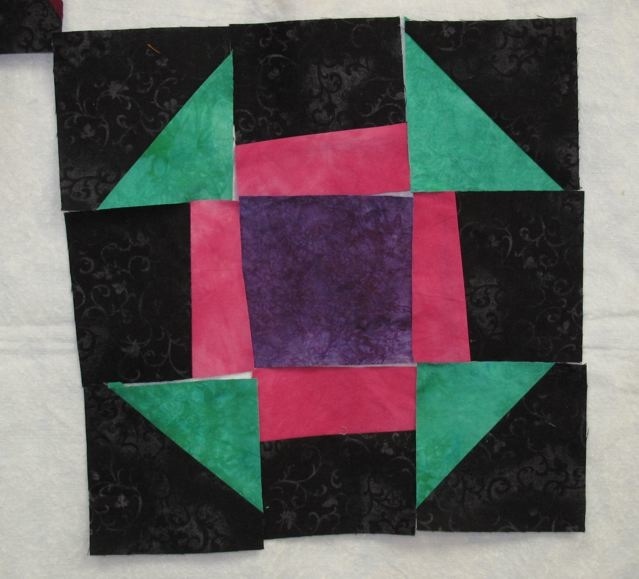 To learn even more about Improv quilting may I suggest my Creative Live class on the subject? 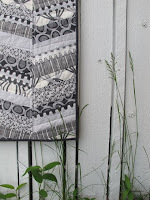 Great post, Cheyl.....finding a definition for improv quilting is not easy to do. Most of my work is imrov and I use a ruler most of the time....not sure why someone would think using a ruler would make it "less improv".....just sayin. Thanks for this Cheryl!!... (and featuring a photo of my work!) I too had wondered if my rather literal representation of my inspiration photo could be considered Improv ...even though I used Improv piecing techniques for the individual facets of the gemstone. Good to know "anything goes" and thank you for helping me push those boundaries. I thoroughly enjoyed the workshop (Thank you MQG Victoria! )and I certainly hope we can do it again sometime. Wow - the best explanation of Improv Quilting I have ever read! Great post! Even back in the day when I was doing very traditional quilting, I made scap quilts and made the choices for each block as I went along. I often didn't know the size, layout, color scheme, etc. until I was well into the project. 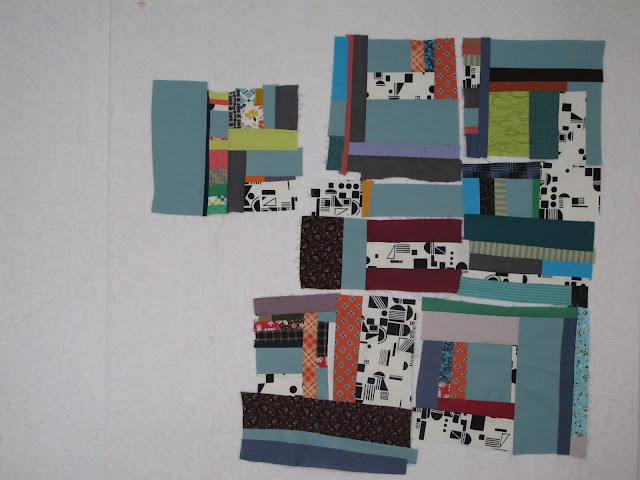 I look at improvisational quilting in terms of the process more than my final product. Thanks for all you do to encourage others! Thank you for taking the time to write such a detailed and well thought out post on Improv! Love all the examples you show. What a great post--really inspirational! 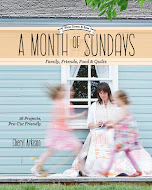 It makes me want to run right up to my sewing room and dig in. I don't know why we always look for validation, but there it is. I have made so many quilts that other quilters look at askance and say "That's interesting", when obviously they mean "Well, that just isn't right". Who needs it? Your post is such a jump start to do your own thing. I love it! Thank you! That you for 2 great workshops that did get me thinking outside the box. I have been happily showing my two projects to lots of people. I was also inspired to buy a new machine that is lighter and will be used for workshops and classes. Appreciated this post. Thank you! You can never know just how important this post is to me personally. Thank you. Great post, Cheryl. I keep thinking that if I read enough about it, I just might be able to try it someday! I love this. There are no rules for improv, beyond the basic structure of what you are creating, no matter the medium used. I grew up in live theatre, where improv is both a learning experience and a form of expression. Translating this to fibre, paper, music is very similiar in that you listen to yourself, to your heart and soul, while following the tenets of your craft. All of my quilting is improvised, even when I use blocks that others have created as a starting point as I invariably change them to fit my current perceptions of how the finished project will evolve. This doesn't mean that I throw away the necessary tools of design or construction, rather that I use them to fulfill my vision. Creativity is not something that can be taught, yet the creative impulses can be freed in all of us once we give ourselves permission to create. Well said lady. I just taught an improv class in my studio yesterday and started the workshop with this very discussion. This is a fascinating explanation of Improv quilting Cheryl. I love how you define it. It is both freeing and encouraging!